Richard Saunders is an antique wicker furniture repair expert with over 40 years experience and is the author of five books on antique wicker furniture, including Collecting and Restoring Wicker Furniture — the first book published with a how-to chapter on wicker repair. 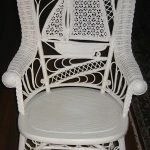 Several years ago, he relocated from CA to Savannah, GA, bringing with him over 40 years of experience in restoring, writing about and appraising antique wicker furniture. Now after a sabbatical from the day-to-day activities of wicker furniture and cane repair and restoration, Richard has decided to once again offer his quality wicker restoration services. So, if you have a wicker piece that needs some repair or restoration work, contact Richard today for an appointment. 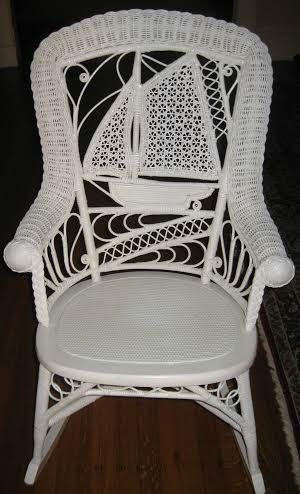 Richard will also continue to serve the antique wicker field certified wicker furniture appraiser. So don’t throw out a valuable and irreplaceable piece of our American wicker history. Just because you don’t know what kind of wicker you have, when it was made, who the manufacturer was or what the value is now, doesn’t mean it’s not still valuable. STOP! Before you toss your wicker–get it appraised by the certified wicker appraiser expert first! Richard provides certified, fee-based wicker furniture appraisals at $25 per piece. His appraisals can be used to establish a value of your wicker pieces for a variety of purposes such as heirloom/ inheritance, estate, resale, insurance, moving damage claims, and even court cases if necessary. Richard’s appraisals also include historical information, notes on style and design, dating the piece and proven or likely manufacturer. Certified appraisals are given only after physical inspection or through a series of good quality photos sent via email or postal mail. Richard Saunders is one of only a few whose appraisal certification specialty is antique wicker furniture. Contact Richard today for an appointment so you will be knowledgeable about your wicker furniture, too. 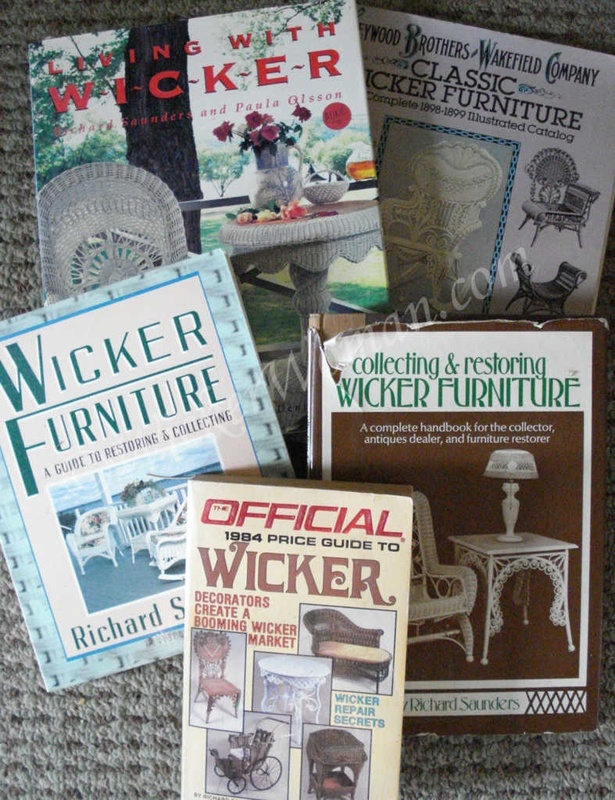 Mr. Saunders is also offering brand new copies of WICKER FURNITURE: A GUIDE TO RESTORING AND COLLECTING (Crown Publishers; 1990). This is a 245-page, large format paperback book which includes an 8-page color photo section, hundreds of black and white photos and lots of fascinating information on antique wicker furniture. Perfect addition to anyone’s personal reference library. This book went out of print several years ago but he has a limited supply of NEW copies which he purchased from the publisher’s warehouse. He would be happy to personally sign your copy. Price is $20, including shipping and handling. 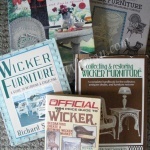 Contact Richard today to order your signed book, WICKER FURNITURE: A GUIDE TO RESTORING AND COLLECTING or to get your wicker piece evaluated and appraised for its proper value!